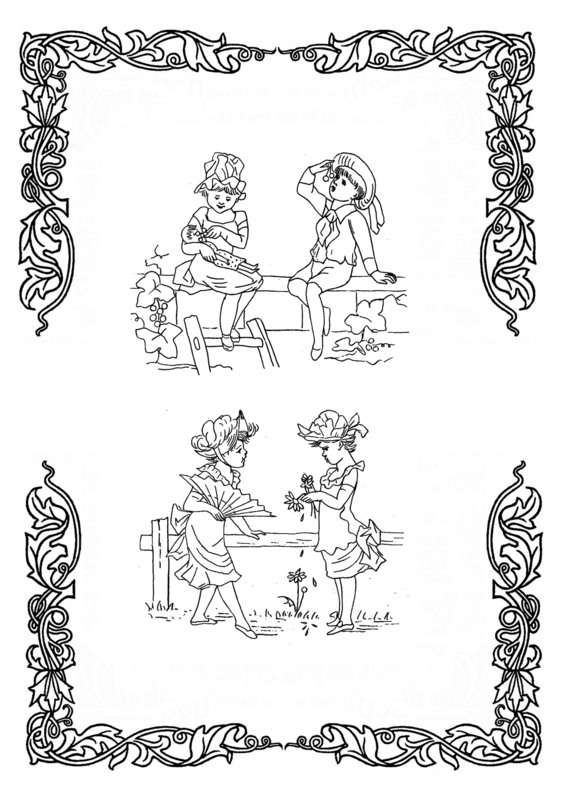 These printable coloring pictures from the Victorian Era are typical for the period and quite sweet! 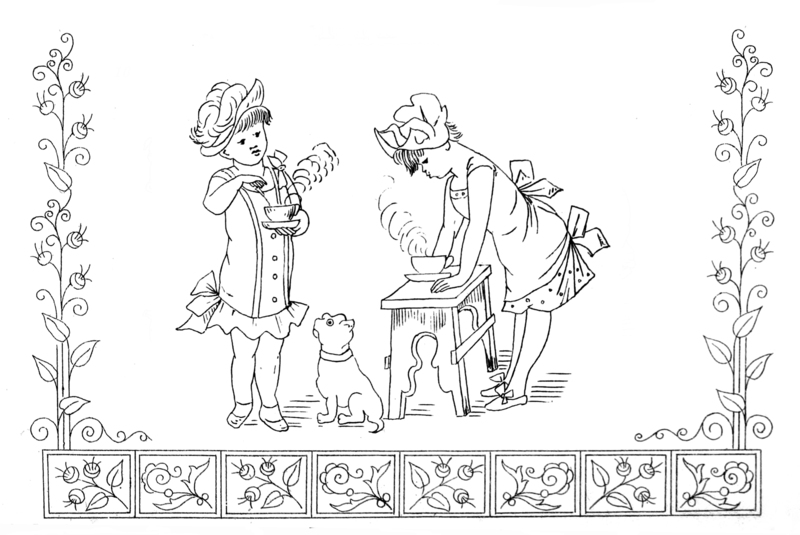 All these coloring images with motives from the 19th century are made from old drawings in Victorian books. I have restored them, some of them have flowers or other kinds of ornaments added to the picture, and they all give a real good idea of this special period. 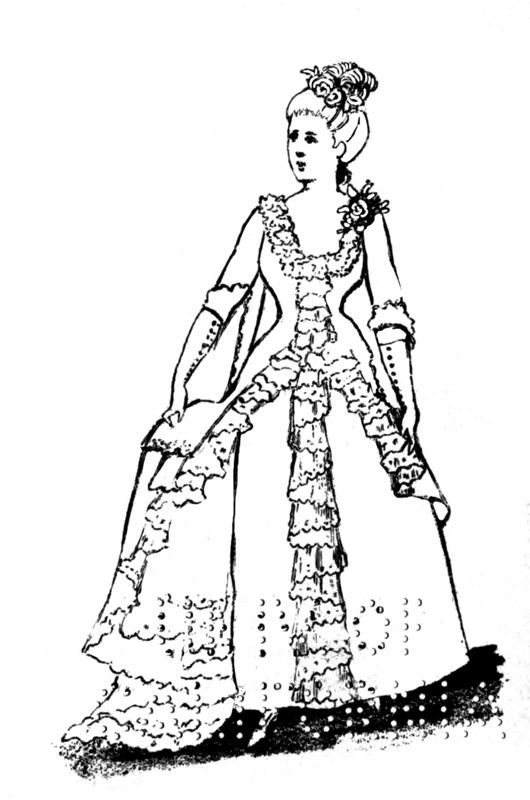 A few of them are made over drawings of Victorian ladies' hats. 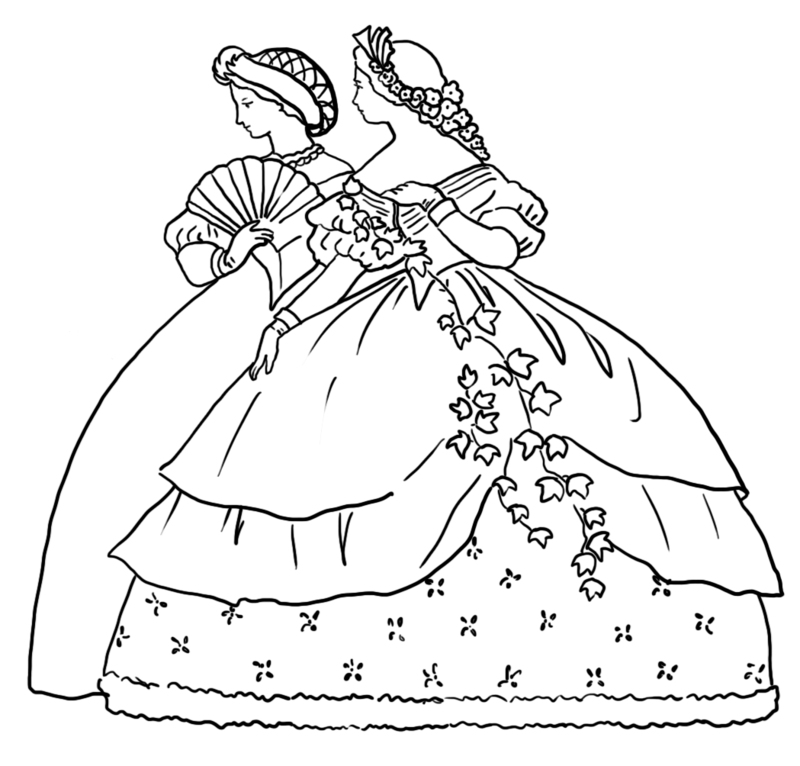 When you find one of these old coloring pages you like, right click the picture and choose to see the page in a new tab. 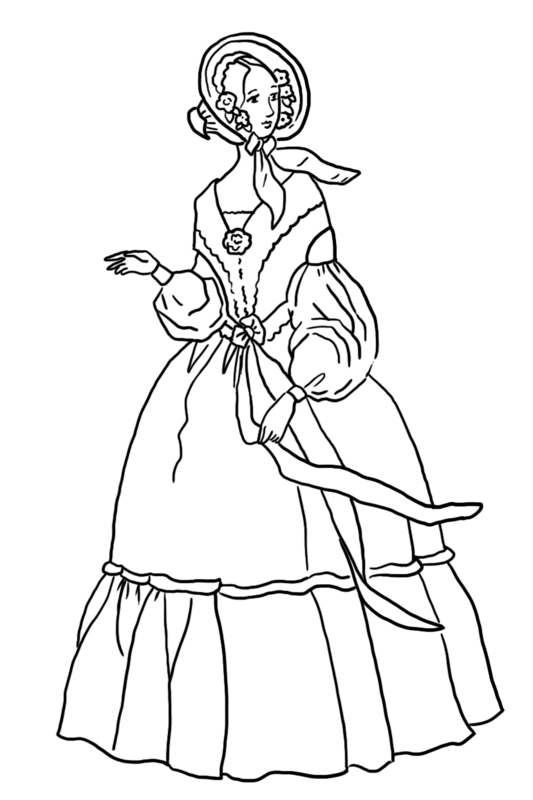 If that is one you want, print it with 200 dpi, then all these old coloring pages should fit an A4 page in the printer. 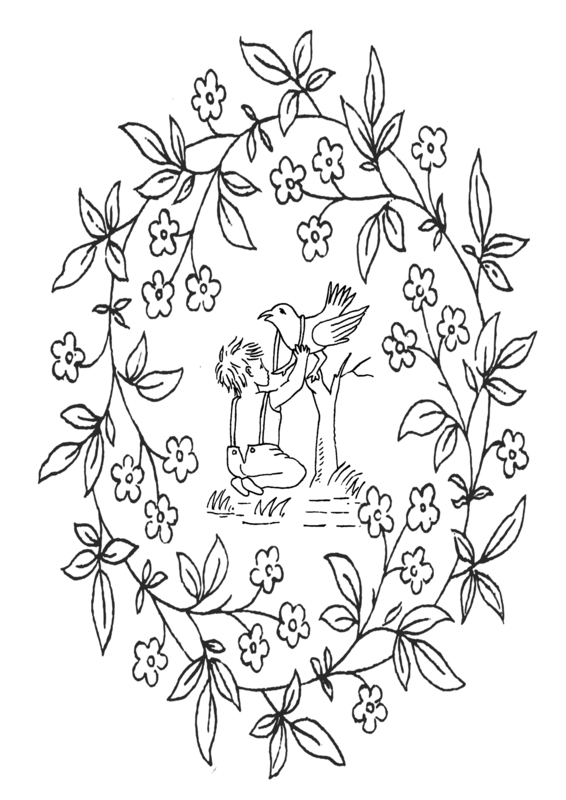 I find these fun coloring pages so charming, and I hope you will have a lot of fun coloring them, whether you will paint them with water color or other kinds of color. About using my material, please go to Homepage. All my clip art and drawings are free for you to use for your own personal use, otherwise there are a few rules. 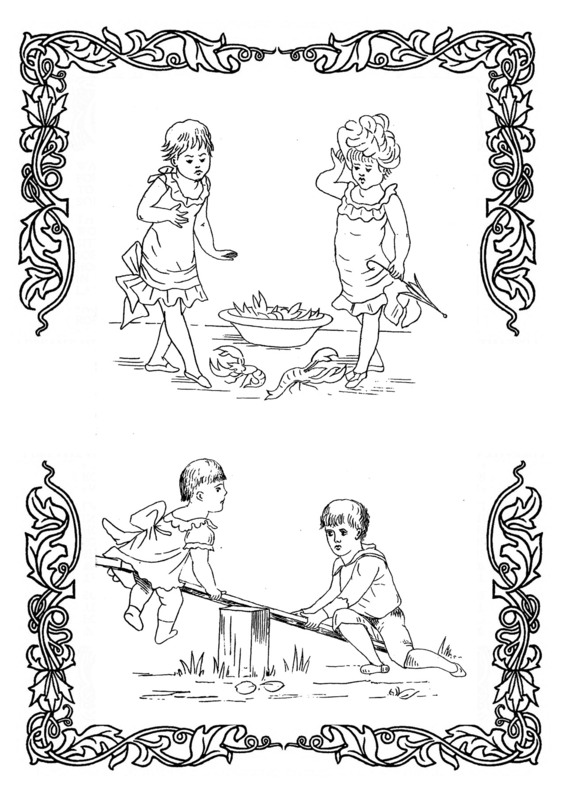 These first coloring images have motives of children playing. They are very charming, and I think they can be a valuable element in teaching about the old days, what kind of toys they had in the 19th century. Aren't they just adorable these two little girls with their Victorian clothing, their large hats, playing with their doll tea set. 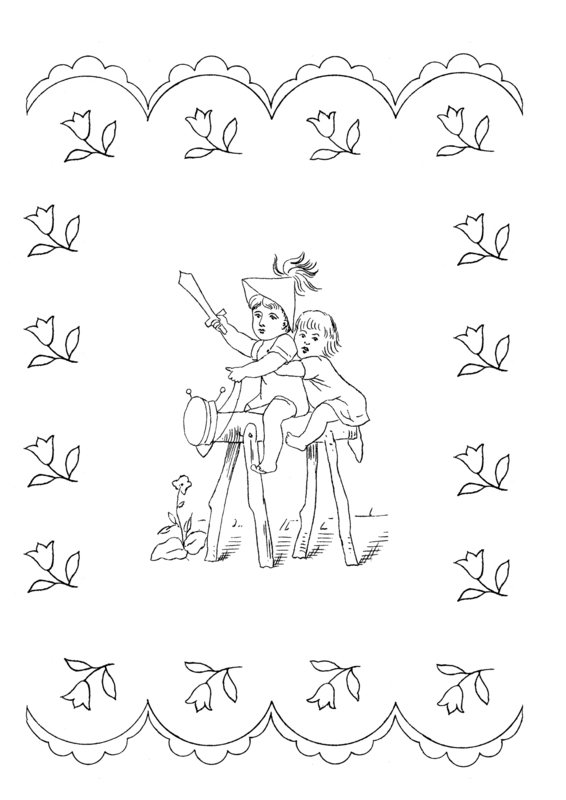 Two little kids from the 19th century. 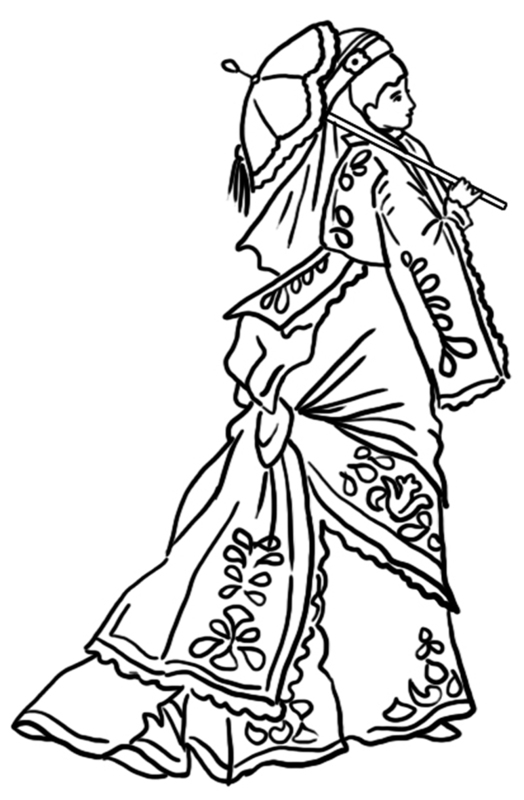 I think this could be one of the coloring pages kids would love, in combination with historical education. 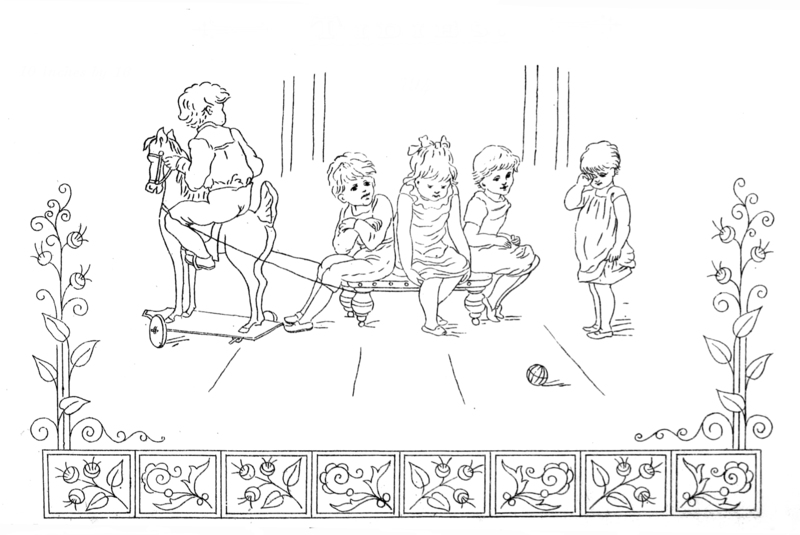 Maybe their grand-grand-grand-grand father could have played with his sister on a wooden horse like this? 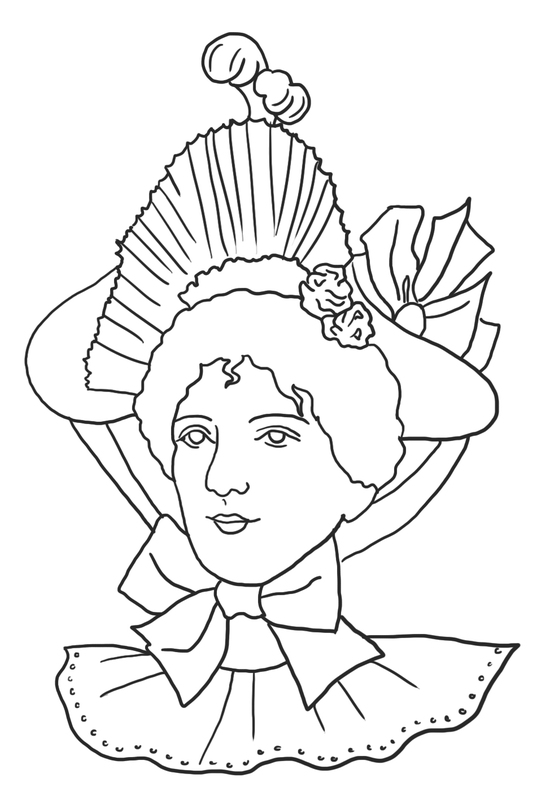 One of these free coloring pictures with Victorian motives with kids and ornaments. 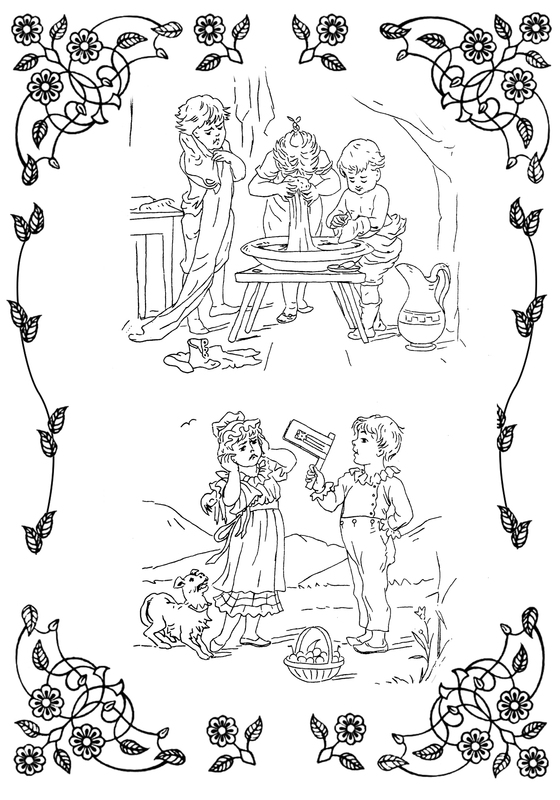 Two kid coloring pages with floral frames and a boy and a girl in the frame. They show how these children washed without help from tap water, but using water in a washstand, and they show little girls with these huge hats, and a fan. 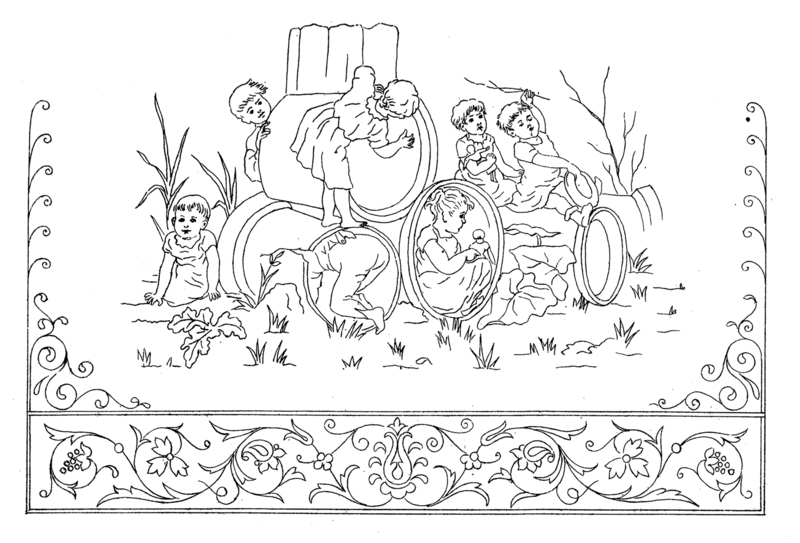 This was the end of these wonderful and charming Victorian coloring pages with children. 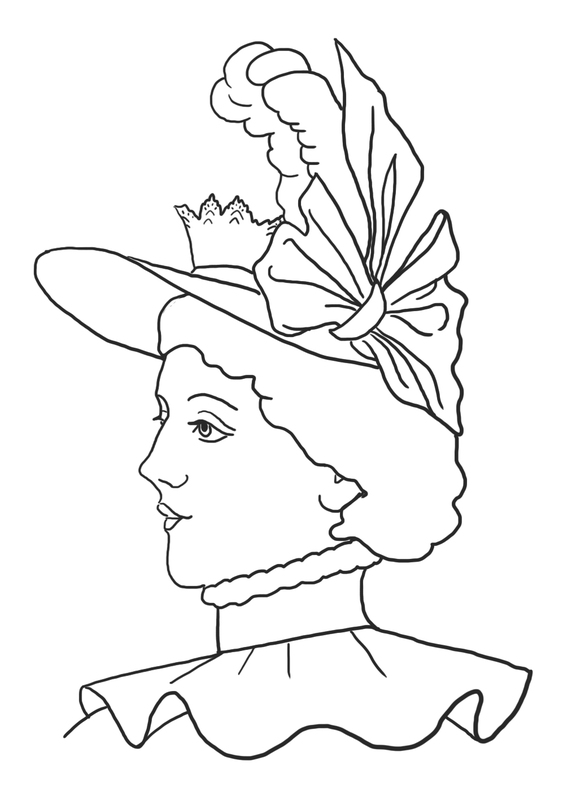 You can use a lot of the Victorian clip art you find on other pages here on Clipartqueen.com as coloring pictures, if you use watercolor. 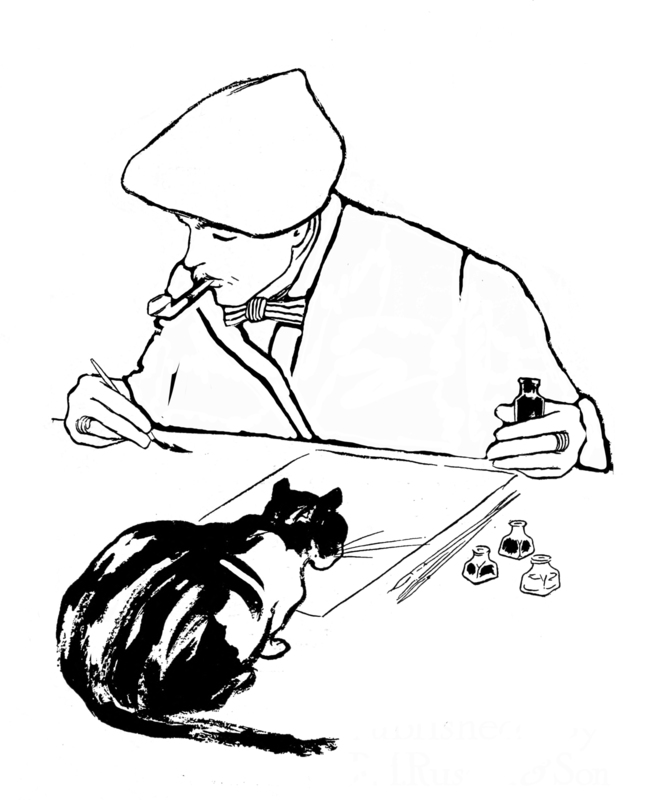 The next pictures here are a bit unusual, all drawings from the old books. 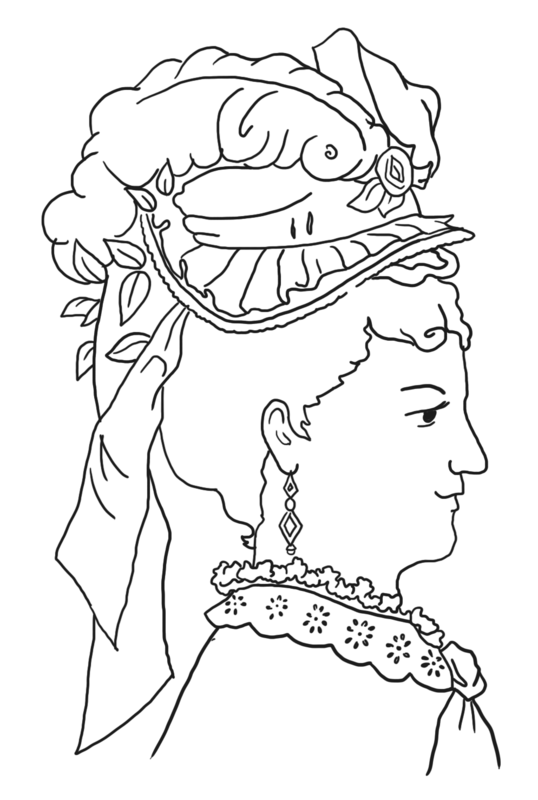 Here comes different coloring images, all with drawings and motives from the 19th century. 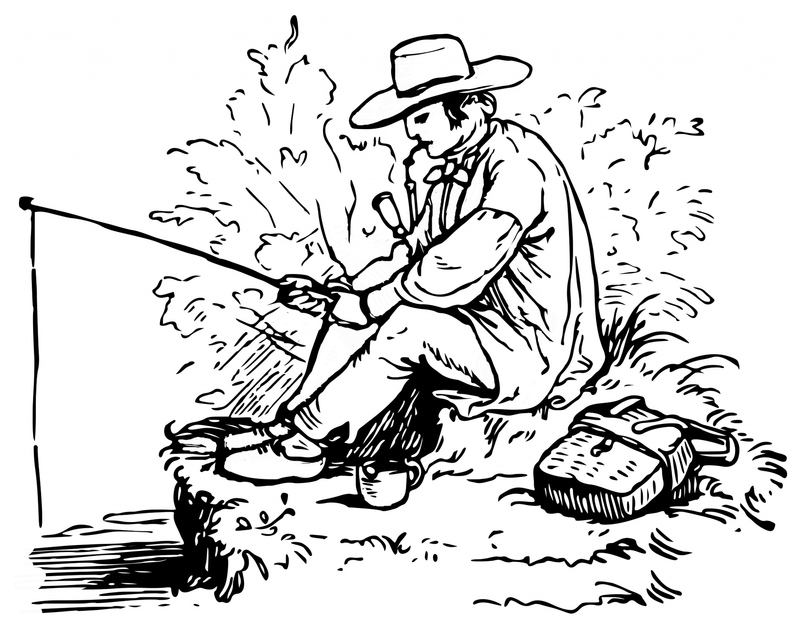 Above a coloring page with a fisherman with his meershaum pipe. 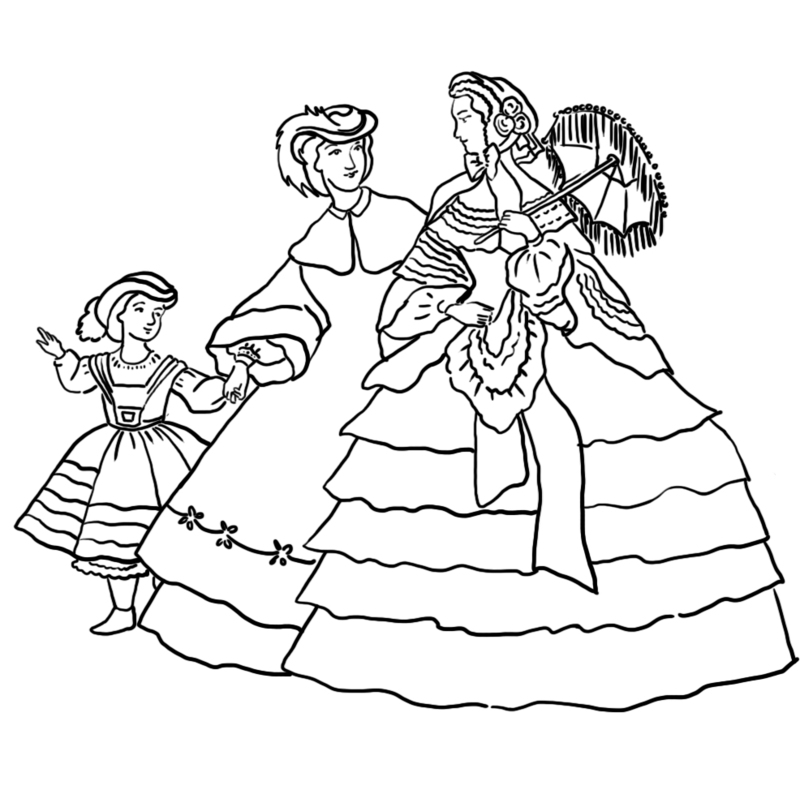 Victorian Ornaments: Beautiful swirled ornaments to use for decorations, making cards and together with Victorian silhouettes. 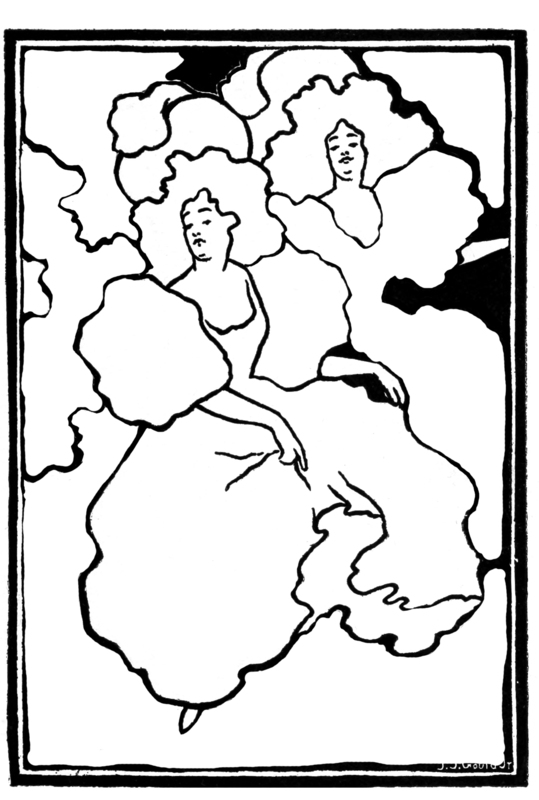 Victorian Silhouette: Wonderful old silhouettes of women, men and children, both head silhouettes and silhouettes of daily doings. 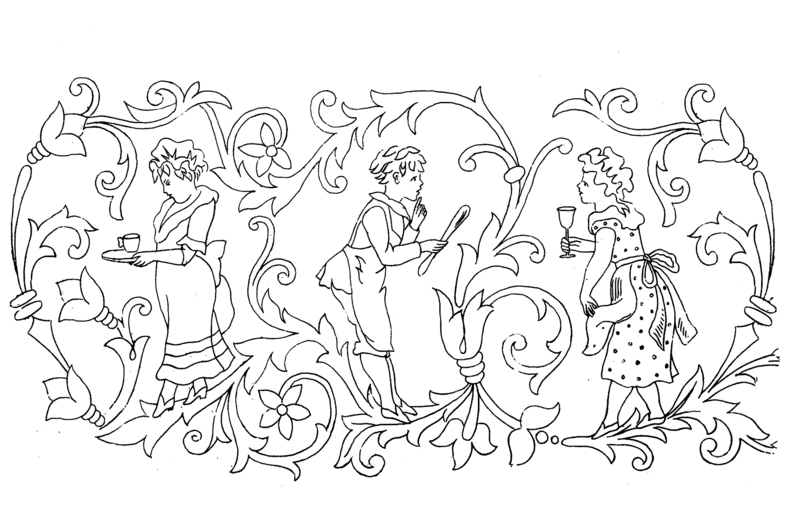 Antique Clipart: The main page for all the pages here with old clip art, from Victorian to old Greek and Medieval clip art. 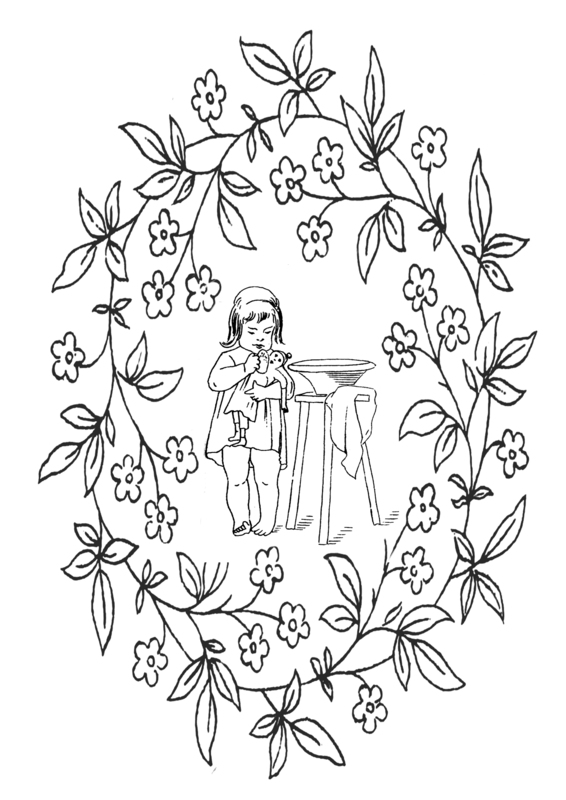 Victorian Frames and Borders: Borders and frames for invitations, templates for cards etc. 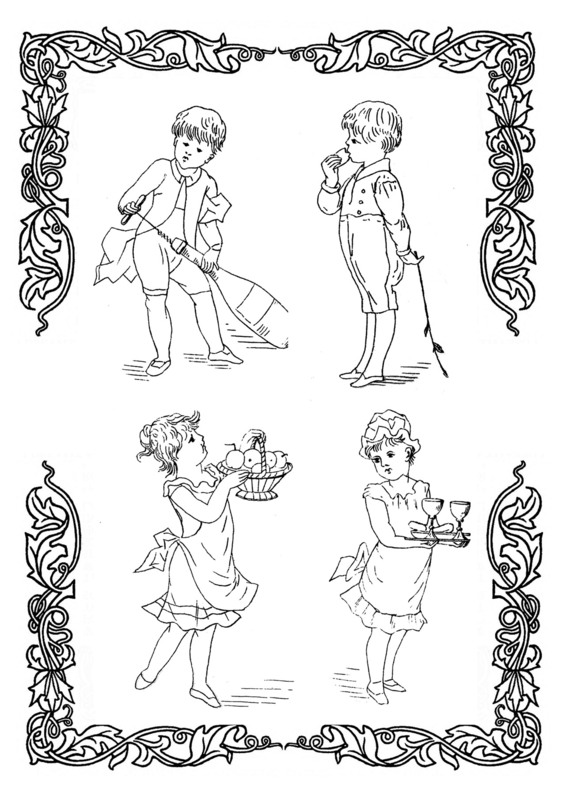 Victorian Clipart: All kinds of old clip art from the Victorian Era - women, men, ships, vehicles, hands, eyes - you name it! 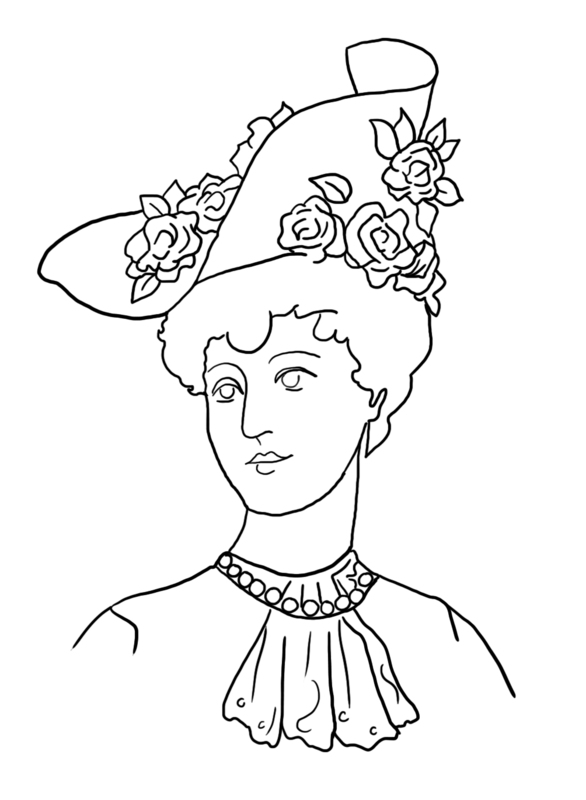 Victorian Ladies' Dress Hats: Take a look at these charming old hats with feathers and flowers.